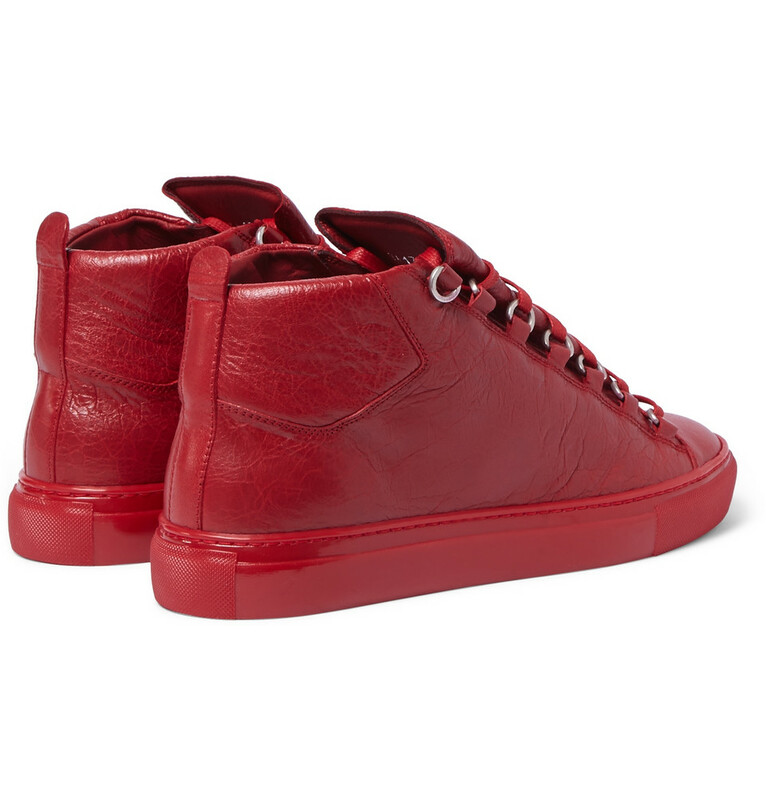 Step your shoe game up with this all-red pair of Balenciaga Arenas. As more and more of your favorite brands bring their own twist of all-red sneakers to the table, this year will have plenty of different options for red kicks. If you're looking to stand out from the rest, then this is your ticket. This new version of the All-Red Balenciaga Arena features a luxurious all-red creased leather upper with metal D-ring eyelets. Retailing for $585, you definitely get what you pay for. The shoe is available now at retailers like Mr Porter. Let us know what you think of this Balenciaga Arena below!